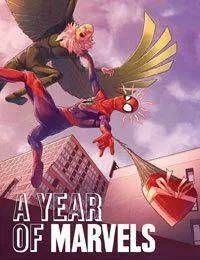 Join us in a brand new Marvel comics adventure as your favorite heroes journey through the calendar year one month at a time! Its February and Peter Parkers got a hot date, but the old Parker luck hits hard...and so does the bank-robbing villain The Vulture! Its a tale of romance, adventure, and punching!